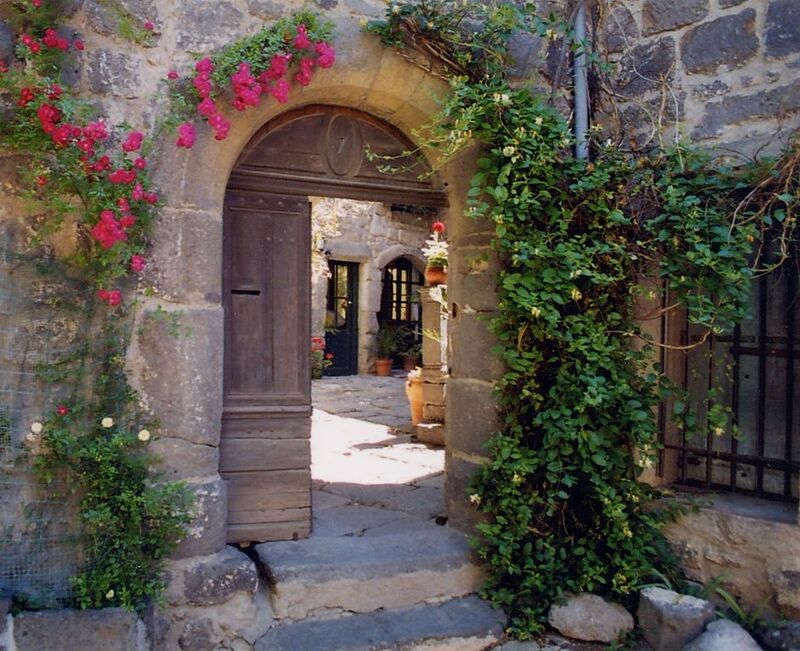 This is a unique house in a unique setting - Renaissance stone house set around a pretty courtyard filled with flowers, built for the Count of Agde in 1586. Beautifully restored and furnished with French antiques. 4 comfortable bedrooms, 3 bathrooms, sitting room, well equipped large kitchen/dining room opens into an interior courtyard , also a rooftop sunbathing terrace and stunning views. Shops, restaurants and cafe/bars are around the corner. On the river Herault and the canal du Midi. Beach 4 km. Near golf. Romantic self catering houses with charming courtyards and secluded roof terraces with dramatic views. In the heart of this medieval town of Agde - A colourful and busy fishing port on the river Herault. Shops, market, restaurants and cafe/bars are around the corner. 4 km from beautiful sandy beaches and golf. 5min walk from the train station. 2min walk to the Canal du Midi. Airport -10km. Maison d'Estella is a unique house in a unique setting, grouped around a pretty courtyard filled with flowers, built for a rich merchant of Agde in 1586. Beautifully restored and furnished with French antiques. 4 comfortable bedrooms on the first and second floor -all looking out over the private courtyards, 2.5 bathrooms, sitting room, well equipped large kitchen/dining room which opens into a second interior courtyard and the house also has a rooftop terrace with dramatic views over the hills beyond the Canal du Midi. The second house comprises the ground and first floors of a large 17th century detached house. The accommodation consists of 3 double bedrooms (one very large with a second bed), a small sitting room, two bathrooms with bath/shower and wc, and a well equipped ground floor kitchen/dining room with its original 17th C wooden beam ceiling opening into a private walled courtyard garden. The house is fitted out with French antique furniture. AGDE flies two EU blue flags for the quality of its beaches and environment. Carcassonne : and the castles of the Cathars are an easy drive away to the west. The dramatic gorges and caves of the stunning Haut-Languedoc national park are close inland. To the east the Camargue, the great nature reserve that's the home of white horses and black bulls. Nearby is the nature reserve of Bagnas and the beautiful lake ‘Etang de Thau’ with its oysters and mussels beds and rose-pink flamingos, also a wonderful place for boating and kite/wind-surfing. The International Airport at Montpellier: is 30 min drive form Agde. (Other nearby airports - Carcassonne, Perpignan, Nimes and Beziers- Low fare flights by Ryanair; from LONDON & BRISTOL to Beziers-Agde airport (10km) Agde is also on the direct Eurostar line from London (St Pancras station). Driving from Clermont Ferrand arrive to Agde via the spectacular viaduct over the Tarn gorge - Norman Foster's splendid bridge at Millau - It carries the A75 autoroute high into the clouds... and Agde is then only an hour away to the south. Wir hatten einen wunderschönen Urlaub. Das Haus ist traumhaft gelegen in der Altstadt von Agde. Parkmöglichkeiten sind zwar nicht direkt am Haus, aber sehr nahe dran. Im Innenhof kann man morgens super frühstücken und das Haus ist so groß, dass die Kinder sich gut darin verstecken konnten. Außerden kann man von dort aus viele Ausflüge unternehmen und der Strand ist auch nicht weit entfernt und gut anfahrbar. Wir würden immer wieder dort unseren Urlaub verbringen! We stayed at Maison d'Estella in summer 2011 and had a fantastic time. It is a truly unique property, full of wonder and charm. A beautiful and well-equipped house and we definitely intend to come back at some point in the near future. We received excellent service from the owners, and Agde is a very atmospheric city. Overall I cannot fault a thing. Our family of 6 (children aged 12, 10, 8 and just-turned-3) spent 2 very happy weeks here. The house exudes history and charm; walking through the heavy old wooden door into the courtyard for the first time truly felt like stepping back in time. The house was clean, spacious, well maintained and easily accommodated our family, and managed to combine being decorated in keeping with the history of the house without feeling intimidating. The staircases are steep (especially the one which leads up to the roof terrace), which slightly concerned me when I first saw them, but our 3 year old navigated them without problem (seeing them as a positive adventure). I liked the touch of having lots of books on the shelves; novels (including one set in the house! ), and also books on the history of Agde (and often with pictures of the house, showing its place in the local history). Parking is challenging, but we always managed to find a spot. The closest places are time limited (and chargeable - but not very expensive), but if you park up in the evening and are off not too late in the morning it's not a problem. We drove down to the local beach most days (Cap d'Agde), which is very fine. We had taken a sea kayak down, and there was plenty of water sports to be done, and good snorkelling. It felt a relaxed place - not as self-consciously fashionable as some places on the Med can be. Other highlights were walking along the Canal du Midi (surprisingly pleasant and cool) and just meandering around the old town. Being in the centre of the town, there are lots of restaurants, bars, supermarkets and many bakers in walking distance, so even our fussy, vegetarian children were well catered for (pizzas / crepes!). For internet junkies the local library (2 minute walk away) has fast, free wireless internet. In the square just around the corner there's a market twice a week which was enjoyable to wander around. The owners Alan and Nira are charming and helpful (Alan cycling over to give us a spare key when one of ours was lost on a beach).